Full brick ranch home in Kendall Hill Subdivision. 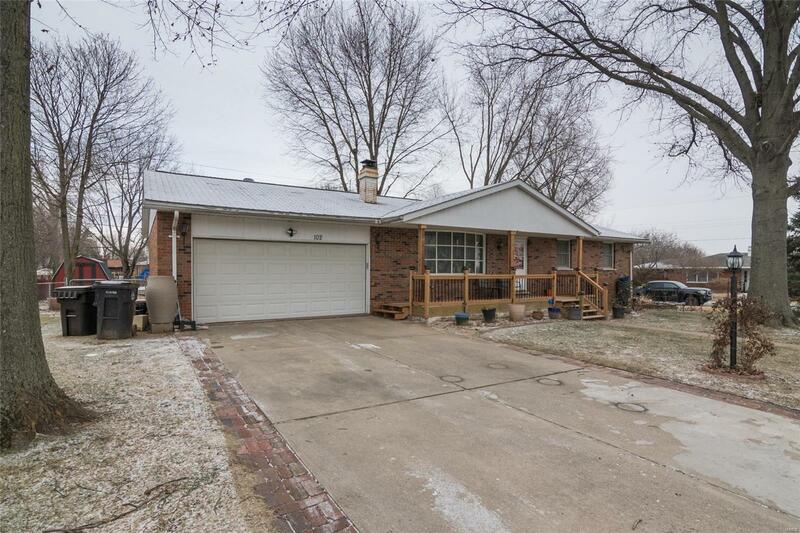 This spacious three bedroom three bath home is move in ready. Located on a fenced corner lot. Updates include bathrooms, kitchen, new flooring throughout and a new covered porch. The garage has recently been insulated and new drywall installed. Lower level offers a large family room with built in entertainment center with an electric fireplace, large storage room and a bonus room that is currently being used as a 4th bedroom which includes a Â¾ bath. Buyer should independently verify all MLS data which is derived from various sources.